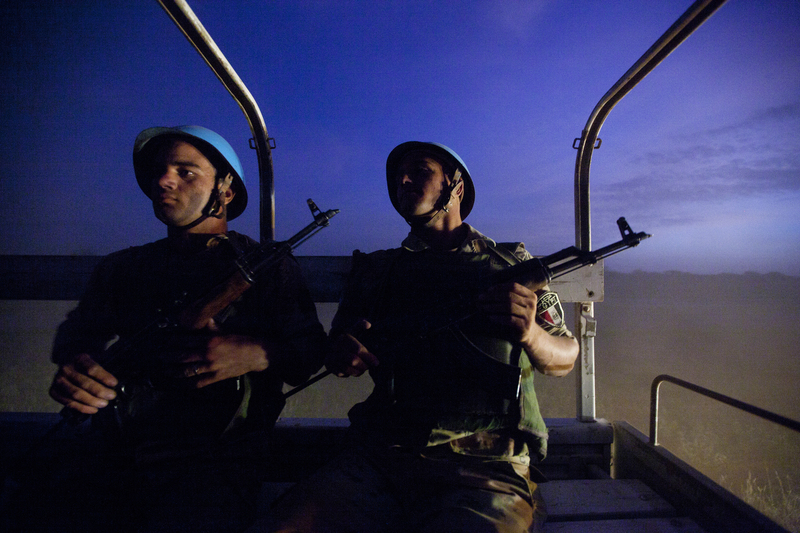 Two Egyptian peacekeepers operate at twilight in North Darfur. Via the United Nations. Does peacekeeping work? Janice Stein (University of Toronto) and I had a lively exchange on this subject on the CBC radio program “The House” last weekend. Have a listen. 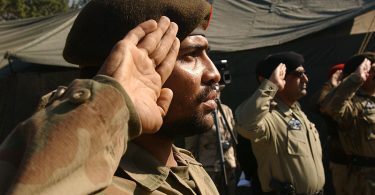 In the interview, I said that more than two dozen major peace operations have been deployed over the past 25 years in countries emerging from civil wars, and that although some have been terrible failures (e.g., Rwanda 1994), their overall record has been reasonably good at preventing a recurrence of fighting. So, which is it? Does peacekeeping generally help to prevent a return to violence, or does it generally fail to do so? The answer to this question matters – quite a lot, actually. If peacekeeping is ineffective and if outsiders can do little to help post-conflict societies transition towards a more stable peace, as Prof. Stein suggests, then Western policymakers and other leaders would be foolish to consider contributing to, or even supporting, such efforts. If, on the other hand, peacekeeping has a reasonably positive record, it would seem foolish for the same policymakers not to support these efforts. Prof. Stein is a fine scholar and fluent analyst of international affairs, but she’s not correct about the peacekeeping record. Michael Doyle (Columbia University) and Nicholas Sambanis (Yale University) demonstrated in 2000 that the presence of a large peacekeeping operation in a country emerging from civil war significantly reduced the chances of that society slipping back into violence. They reached this conclusion by analyzing post-conflict countries that had, and had not, received peace missions, and by holding other factors constant, including the intensity of the preceding war, the type of conflict, etc. 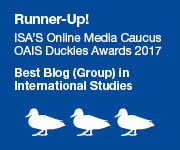 Their finding has been replicated, modified, and reconfirmed many times in the ensuing decade-and-a-half and is now widely accepted among international security scholars. One recent survey of this literature put it simply: “there is considerable evidence that [United Nations peacekeeping operations] are effective in maintaining peace.” In fact, most debates on this subject are now focusing not on whether peacekeeping reduces the risk of renewed fighting, but on how much it does so. Of course, this does not mean that every peacekeeping mission has succeeded or will succeed; rather, it indicates that “on average” peacekeeping works to reduce the risk of renewed conflict. It is a statistical relationship – and a very strong one, as other contributors to this literature, including Paul Collier (University of Oxford) and Page Fortna (Columbia University and contributor to this blog), have demonstrated. This finding may seem counter-intuitive at first, given lingering images of failed peacekeeping efforts in Rwanda and Somalia, for example. But it begins to make sense if you consider how many countries have navigated the war-to-peace transition with the assistance of international peacekeepers – including El Salvador, Nicaragua, Namibia, Mozambique, Sierra Leone, Cambodia, East Timor, Bosnia and Kosovo. Perhaps these cases have fallen from public view precisely because they are no longer at war. “Still no return to massive bloodshed in Bosnia” is very important news to the inhabitants of that country, but don’t count on seeing this headline in tomorrow’s paper. If it doesn’t bleed, it doesn’t lead. Nevertheless, the evidence is clear: on balance, peacekeeping works reasonably well at preventing conflicts from reigniting. I’ve included a list of studies at the end of this post in case you wish to read further, but I’ll leave the last word to Steven Pinker of Harvard University, who, in the video clip below, sums up the findings of this scholarship more eloquently than I can. The United Nations does a number of things badly, but it does a number of things well, and one of them is peacekeeping – on average, not 100 percent of the time. The headlines would never tell you that. Only a statistical study would. Anke Hoeffler, “Can International Interventions Secure the Peace?” 2014. Area Studies Review 17(1):75-94. Collier, Paul, Anke Hoeffler and Mans Soderbom. 2008. “Post-Conflict Risks.” Journal of Peace Research 45(4):461-478. Doyle, Michael W. and Nicholas Sambanis. 2000. “International Peacebuilding: A Theoretical and Quantitative Analysis.” American Political Science Review 94(4):779-801. Doyle, Michael W. and Nicholas Sambanis. 2006. Making War & Building Peace: United Nations Peace Operations. Princeton: Princeton University Press. Fortna, Virginia Page. 2008. Does Peacekeeping Work? 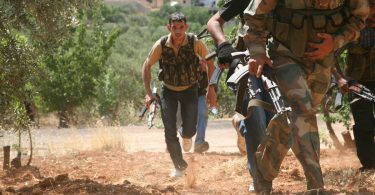 : Shaping Belligerents’ Choices After Civil War. Princeton: Princeton University Press. Gilligan, Michael J and Ernest J Sergenti. 2008. “Do UN Interventions Cause Peace? Using Matching to Improve Causal Inference.” Quarterly Journal of Political Science 3:89-122. Havard Hegre, Lisa Hultman and Havard Mokleiv Nygard, “Evaluating the conflict-reducing effect of UN peace-keeping operations,” Paper prepared for the European Political Science Association Convention, Berlin, 21–23 June 2012. Roland Paris is University Research Chair in International Security and Governance at the University of Ottawa. His research interests are in the fields of international security, international governance, and foreign policy. There may be a post hoc ergo prompter hoc fallacy in the observation that peace-keeping interventions reduce subsequent violence. Imagine, for example, that such interventions are more often used when they appear viable, and less often used when the forces of violence are simply too great to tame. This does not seem implausible. Stronger evidence would come from a randomized experiment, but this is not a viable research strategy. We’re left to try to disentangle the selection effects from the effect of the intervention, and this presents difficult analytic challenges. There’s also the issue of outside political interests. A peacekeeping mission may be authorized or denied because of great power political concerns regardless of whether or not the conflict is more or less manageable. Brian, see Page Fortna’s book “Does Peacekeeping Work?” (2008) on this. She constructs a fairly compelling two-stage model that takes into account the selection effects and nevertheless shows that PKOs have appreciable impacts. Thanks, Erica. I’ll check out Fortna’s book, will be interested to see how she did it. Brian, also see Gilligan & Sergenti’s piece (http://www.nyu.edu/classes/nbeck/q2/pkocausal_qjps.pdf) which explicitly addresses the issue of non-random deployment of UN PKOs and its impact on the analysis of PKO effectiveness from observational data. It must be noticed that the study by Doyle and Sambanis (2000) measures the status quo two years after the conflict. Thus this study does not dispute Prof. Stein’s argument that most of the countries return to violence 5-7 years after PKO.